The classic British wedding invitation. 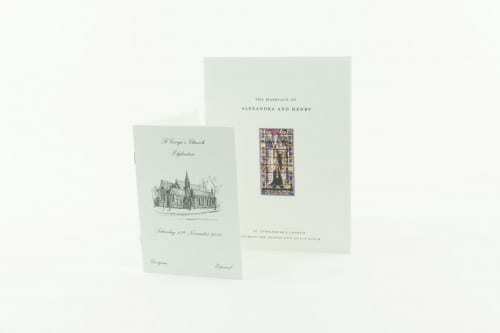 This card measures 8″ x 6” when folded and is designed to sit perfectly on your mantle. 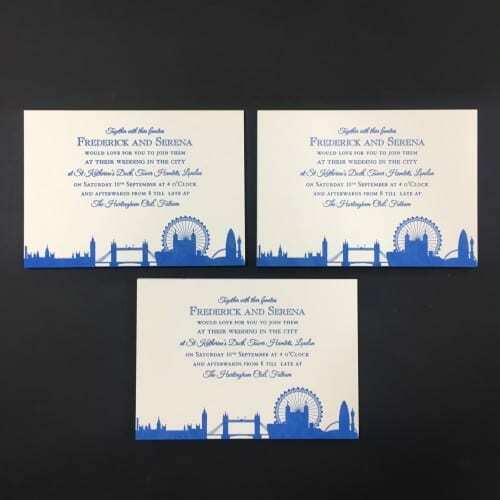 It is printed either thermographically raised or engraved using our classic script font. 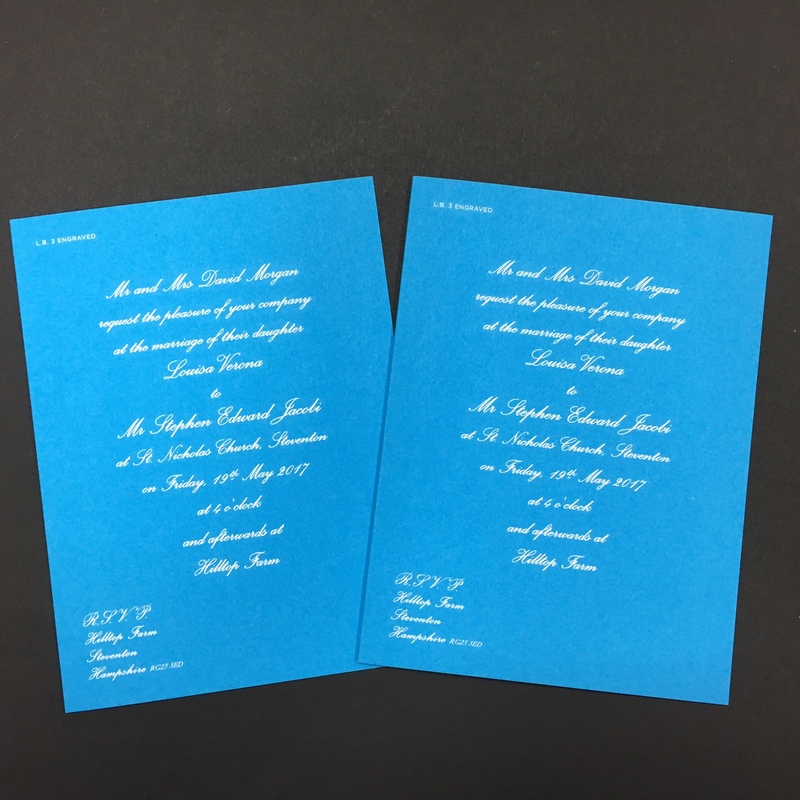 It can be printed in a variety of different colours, but as standard is printed in black. 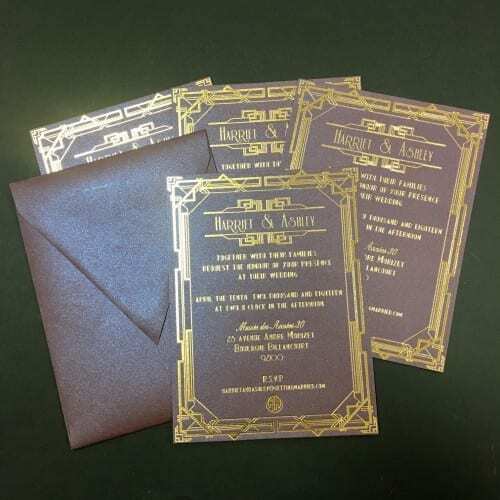 We use a luxurious 400gsm ivory board to give this invitation a traditional look or 350gsm coloured textured board if you’re looking for a modern twist (pictured). 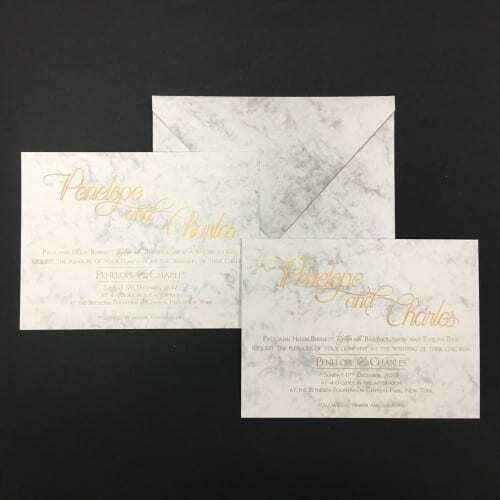 The Cheviot invitation is supplied with our 155gsm ivory envelopes.